This is Blake. 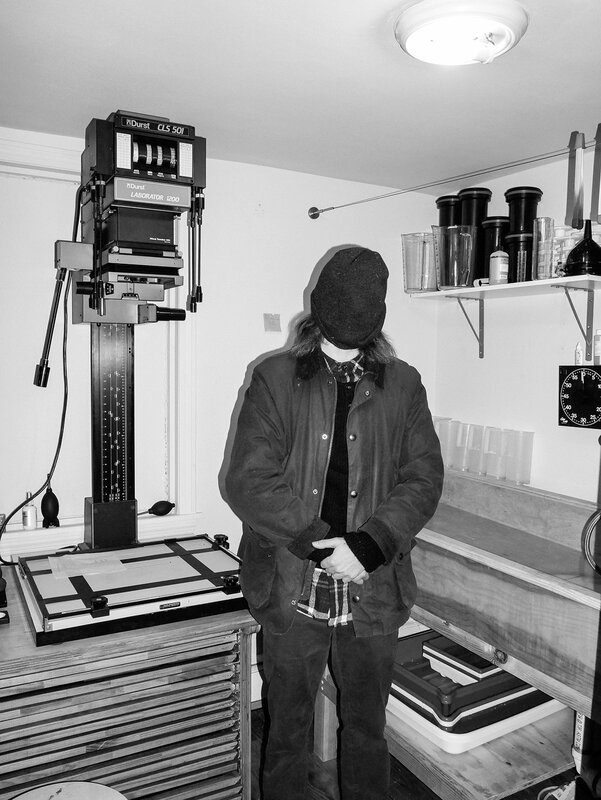 He turned a small room into a fully loaded darkroom. Haven’t seen this nice of a setup in a while and it’s in an apartment! I been thinking how, if ever, would all this esoteric stuff I been researching and studying creep it’s way into my photography. I mostly just shoot like I’m recording an auto biography and there’s usually nothing mystical about my daily life. But I do come up with weird movie ideas. One story is about the concept that we came to Earth in order to experience the full range of emotions. In order to do that, we chose to be born with amensia. That is because if we knew everything at birth, that would contradict our life experience. This would be a romantic comedy starring Adam Sandler. He would be born with full memory and he spends the entire movie trying to give himself amnesia without killing himself or getting permanent brain damage. I didn’t write a script but I liked the title so I used it for my new zine with Innen Books, get it here. And then one night with a friend we were trying to come up with some cool shaman names. All the indigenous people of the Americas have cool names, but especially the shaman. I ended up using that for the title of my new book. It was planned to be a series of 5 zines, but then I thought it would be a cooler as a book. It worked out to be 250 pages and will be out next week. I think it will eventually be a series of 3 books. We’ll see.